On October 2 – 4, 2018 the 12th International Specialized Exhibition “Heat Treatment – 2018” took place at the Expocentre Fairgrounds, Pavilion 7 under the auspices of the International Federation of Heat Treatment and Surface Engineering (IFHTSE) and the Russian Society of Metal Science and Heat Treatment (ROMiT). 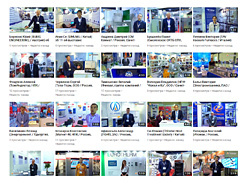 More than 80 leading Russian and foreign producers, providers of equipment and services from 12 countries (Russia, Germany, Italy, Austria, China, Poland, Romania, Slovenia, France, Republic of Belarus, the USA, Switzerland) took part at the event. In the frames of the exposition high-efficiency equipment, exhibits in action, the latest engineering developments and as well as a wide range of solutions for thermal and chemical-thermal treatment have been presented. The exhibitors demonstrated industrial furnaces, drying cabinets, units for surface coating, refractories; vacuum, induction, measuring, diagnostic equipment, products of graphite, carbon-carbon composites, etc. In the frames of the conference “Innovative Technologies of Heat Treatment” the specialists and experts of the industry made speeches about their technological achievements, shared professional experience and discussed prospective directions of development in the sphere of heat treatment. 3125 specialists attended the exhibition in 2018. Most of them are chief metallurgists, heads of purchasing departments, engineers-constructors of the leading enterprises of metallurgical, machinery-building, aviation&space, oil&gas, chemical, energetic, defense and other industries. Among them are representatives of NPO “SPLAV”, PAO Company “Sukhoi”, PAO “KAMAZ”, DB SCHENKER, Uralvagonzavod, Institute of High Temperatures RAN and many others. 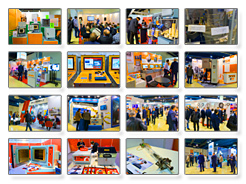 The exhibition “Heat Treatment” usually gathers a unique composition of visitors – profile customers. This fact is proved by the official Independent Audit Check of Statistic Figures, according to which the amount of specialists is 98% from the total amount of visitors. The exhibition "Heat Treatment" is a unique specialized business ground that has no analogues in Russia. SNOL-TERM has taken part in it since 2008 not only on this reason. Every year we note the development of this project thanks to the qualitative work of the organizers on attraction of the target audience. The amount of specialists in this industry, representatives of the key enterprises of the domestic industry who visit the exhibition grows. We hope for keeping this trend in the future despites the crisis phenomena in the economy and negative politic factors. Thermal treatment is one of the most important manufacturing processes that is directly connected and influences significantly the expensive mechanical operations. Modern methods of heat treatment considerably reduce the cost price and the labor input of the parts' production. The exhibition "Heat Treatment" contributes to growing of quality and quantity performance in the governemntal programs of the development of the Russian manufacturing enterprises, to improving the competitiveness of our industry and its technological independence. Our enterprise participated in the exhibition “Heat Treatment – 2018”. According to the results, “MIUS” has received more than 30 exact offers on participation in a tender for supply of electro-thermal equipment of a sedimentary type and of equipment with a built-in endogenerator, for implementation of a technology of thermal and chemical-thermal treatment based on endogas. The agreement on carrying out the development works for NTC of the ENERGOPROM group (Chelyabinsk) has been reached. During the exhibition more than 500 catalogues of our products, advertising and technical documentation have been issued. We’d like to express a separate gratitude to the Director of the exhibition company - Mr. Vladimir Bannikov and to the exhibition General Manager - Natalya. A wonderful organization of the exhibition, timeliness solution of issues, attraction of a wide circle of enterprises - all this allowed our company to significantly broaden the circle of potential buyers, to exchange experience with other producers of electro-thermal equipment, to find suppliers of materials and parts from foreign countries. “MIUS” plans to take the most active part in the specialized exhibition “Heat Treatment” in the future. Booking of booths for participation in the 13th International Exhibition “Heat Treatment – 2019” that will take place on September 17 – 19 at the Expocentre Fairgrounds, Pavilion 7, Halls 1 – 2 is open. In 2019 the 26th Congress of the International Federation of Heat Treatment (IFHTSE) will be carried out in Moscow, at the Expocentre Fairgrounds at the same time with the exhibition. Pages in the list below marked with sign contains exhibitors video-interview.